"Successfully completing these missions will require multiple robots, including both drones and ground vehicles," said Sebastian Scherer, who will lead the team with Matt Travers, both of CMU's Robotics Institute. 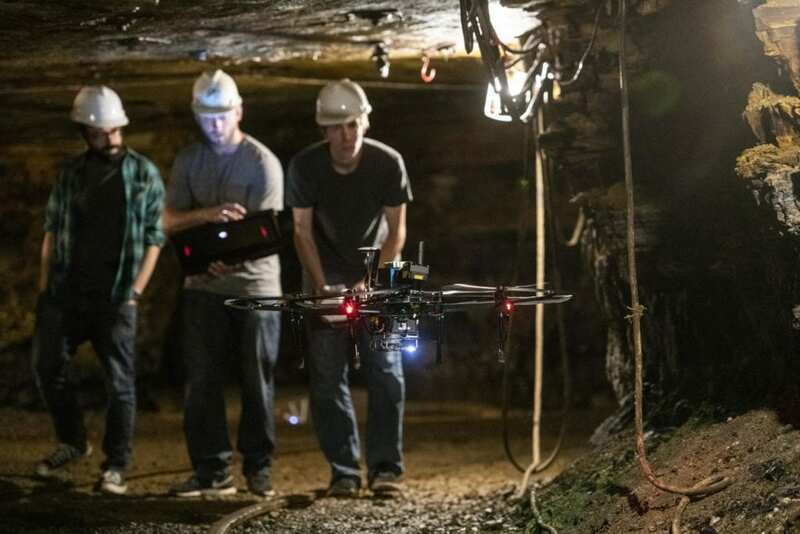 "Our team has a wealth of experience in operating robots in mines, enclosed spaces and the wild, and in coordinating the activity of multiple robots." "We can't be sure that a four-wheeled platform will always be the right robot for every job, so we need to be ready to add wheels or substitute tracks or even legs," Travers said. "In some environments, small robots might be our only option, while others may demand larger, more robust robots." Scherer, a senior systems scientist, said communications will be a major challenge underground, and that getting robots to work cooperatively to ensure a space is comprehensively mapped is critical. Geoff Hollinger, an assistant professor of mechanical engineering at Oregon State and a CMU robotics alumnus, has been recruited to the team for his expertise in multirobot systems. CMU's team also includes Howie Choset, the Kavči?-Moura Professor of Computer Science; Sanjiv Singh, research professor of robotics; Anthony Rowe, associate professor of electrical and computer engineering; and a number of undergraduate, graduate and post-doctoral researchers. "Creating robots that can work in subterranean environments will expand the potential application of robots both underground, such as in mines, and inside structures, such as buildings, ships and aircraft," Scherer said. "The constraints robots encounter in these confined spaces are enormous, so we have our work cut out for us." In addition to DARPA funding, the team is receiving support from Boeing and from Near Earth Autonomy, a spinoff of the Robotics Institute. The team also isseeking additional commercial and foundation sponsors.